Following the small increase in national home sales revealed by CREA Monday, the association has updated its forecast for the housing market. 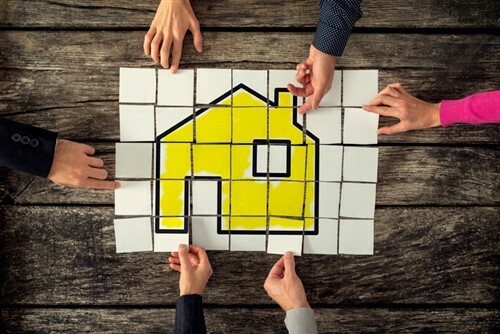 Although acknowledging the strong economic and demographic fundamentals which support the housing market in most of the country, the forecast highlights the policy headwinds that are creating barriers for homebuyers. Firstly, the mortgage stress test introduced at the start of the year which continues to pressure would-be first-time buyers; at least those who did not bring forward their purchase to before the new rules took effect. Secondly, rising interest rates. With those that have already happened and at least one more expected before the end of 2018 with more to follow in 2019, the bar is rising for borrowers hoping to qualify for a mortgage. These factors lead CREA to call for a 9.8% decline in sales to 462,900 for 2018. This is in line with the previous forecast in June and reflects stronger-than-expected activity in Ontario offsetting weaker sales in BC, although both are expected to post double-digit year-over-year declines. The national average price is projected to ease to $494,900 this year, down 2.8% from 2017, reflecting fewer sales transactions in B.C. and Ontario in 2018. Meanwhile, home prices in Eastern Ontario, Quebec, New Brunswick, Nova Scotia and Prince Edward Island are expected to continue rising following steadily firming market conditions in recent years. Home prices are projected to edge down by about 1.5% in Alberta, Saskatchewan and Newfoundland and Labrador. In these provinces, particularly in the latter two, supply is historically elevated in relation to demand. CREA is forecasting national sales to rebound modestly (+2.1%) to 472,700 units but remain below annual levels recorded in 2014 through 2017. The national average price is forecast to rebound by 2.7% to $508,400 in 2019, reflecting modest average price growth in several provinces and the return of the normal seasonal pattern for sales and average prices in Ontario where a 3.3% rise is forecast. Quebec, New Brunswick, Nova Scotia and Prince Edward Island are expected to see rising prices next year, although restricted by interest rate hikes. Prices are forecast to remain stable from 2018 to 2019 in Alberta, while further edging down in Saskatchewan and Newfoundland and Labrador.